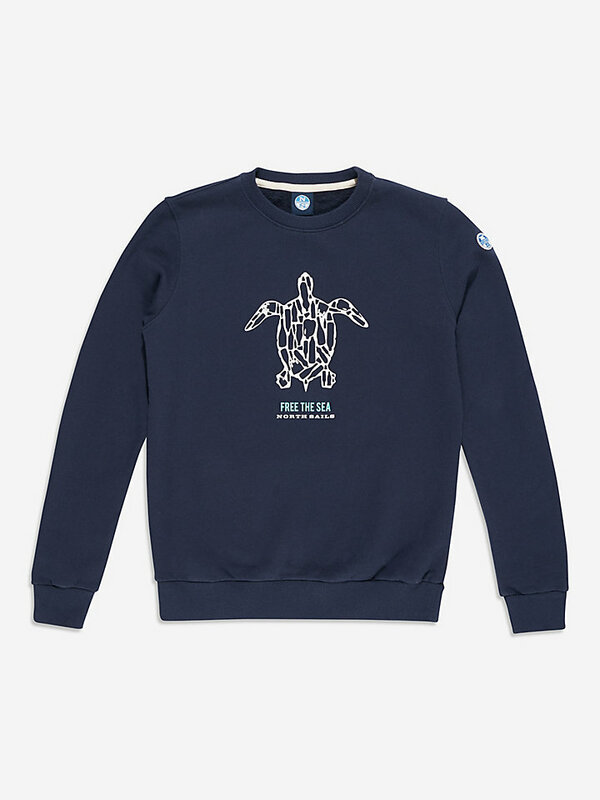 Easy to wear fleece sweatshirt made of recycled fabrics. It has a turtle water print at the center front. 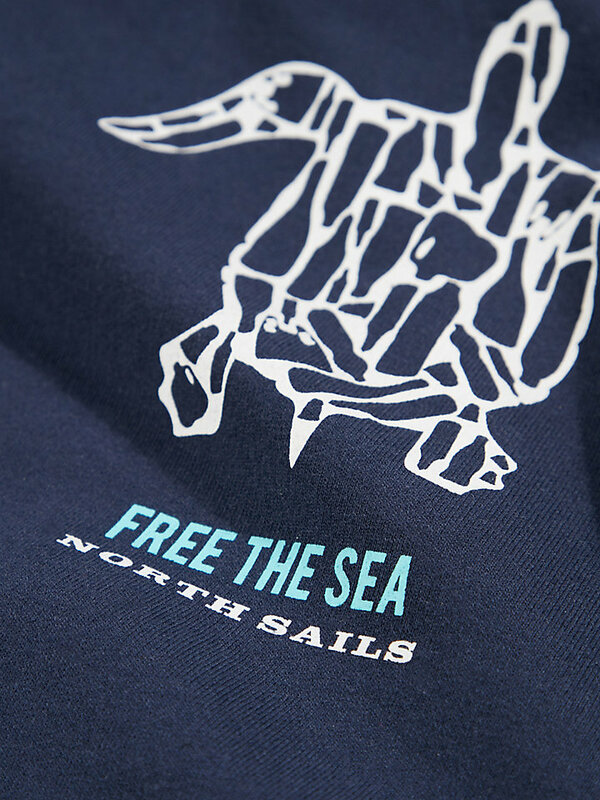 North Sails outdoor wear is made with the best fabrics for high-quality protection. This crewneck sweatshirt for women is no exception. Made from a 100% upcycled blend fabric - a high performance blend of upcycled cotton and post-consumer RPET bottles - that guarantees durability, comfort and movability. Perfect for an active day, or to relax afterwards.